I’m happy to let you know that Google Sheets integration is finally coming into MachForm! 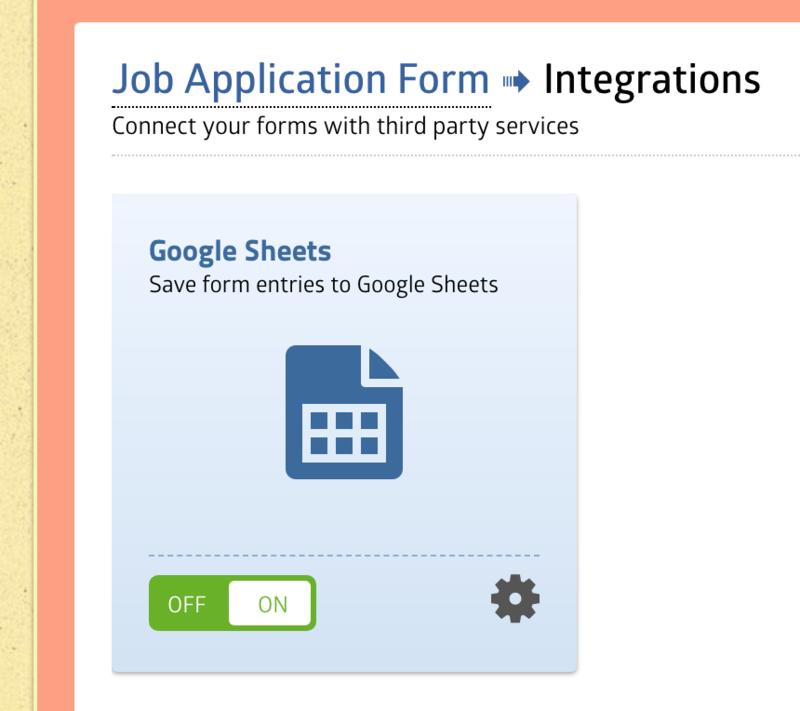 With Google Sheets integration, you can now easily save your form entries data to your Google Sheets spreadsheet automatically. We’re implementing a native / direct integration with Google Sheets without using any third-party service and this means your data will go directly from your MachForm to Google securely and without any additional third-party fees! For more details, please check Google Sheets Integration in MachForm. This new feature is part of the new version of MachForm (Version 10) which we’ve just released today and it is now available for downloads on Billing Area. As of v10, MachForm requires the minimum version of PHP on your server to be at least PHP 5.5. If you’re still using older version (PHP 5.3), you need to upgrade your PHP version first.